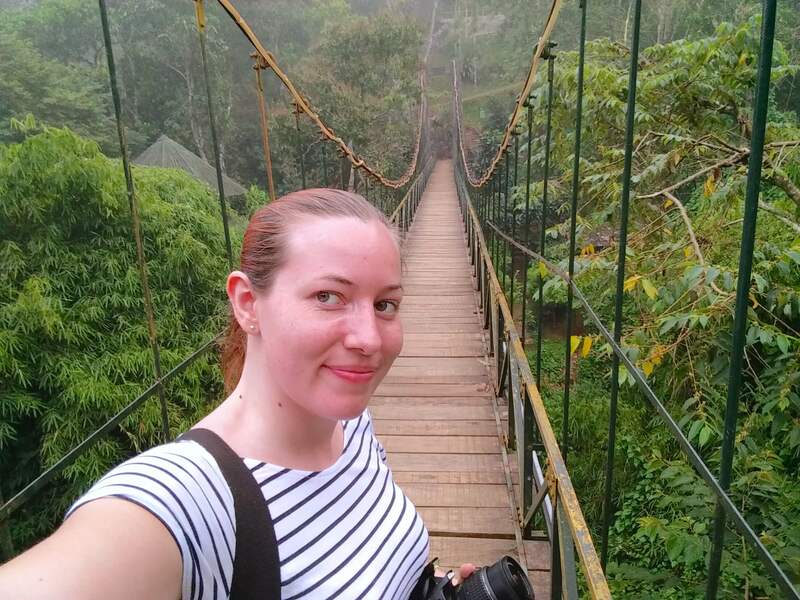 This year I turned 30 and to celebrate this milestone I took special month long trip which started in Canada. I spent five days staying in Mission, not far from Vancouver with friends who happen to appreciate good wine. Now I must admit, before this trip I never knew Canada even produced wine. Until a few years ago I was never that interested in wine. I liked it, I drank it but I never appreciated it. I knew about the big wines from France, California, New Zealand but I never stopped to consider that wine can be produced outside of these places. 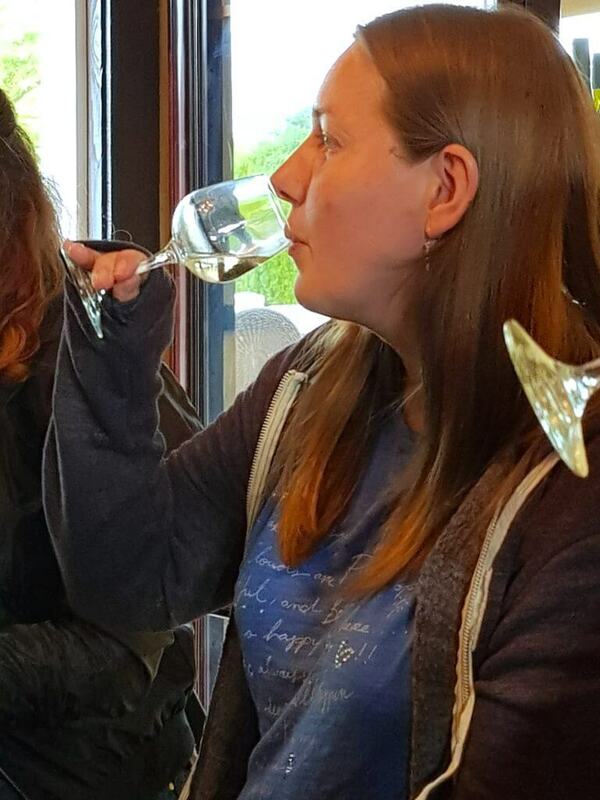 It was only after taking a tour of Vineyards in Essex that I had my first wine tasting which is what made me start appreciating wines. 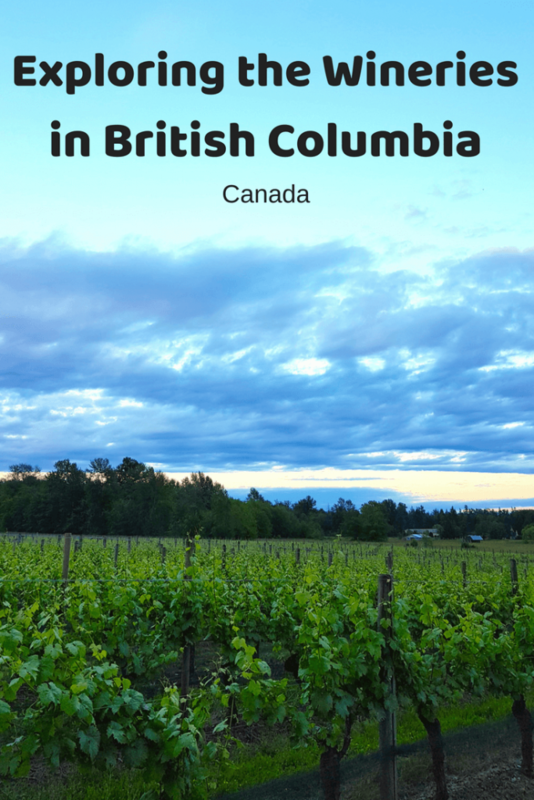 Having the chance to experience Canadian wineries in BC was something I couldn’t pass up! British Columbia produces more than 20 million litres of wine so it’s safe to say they know what they are doing. This is what I wanted to find out so while I was in Mission I checked out a few of the local wineries and went for some tasting. 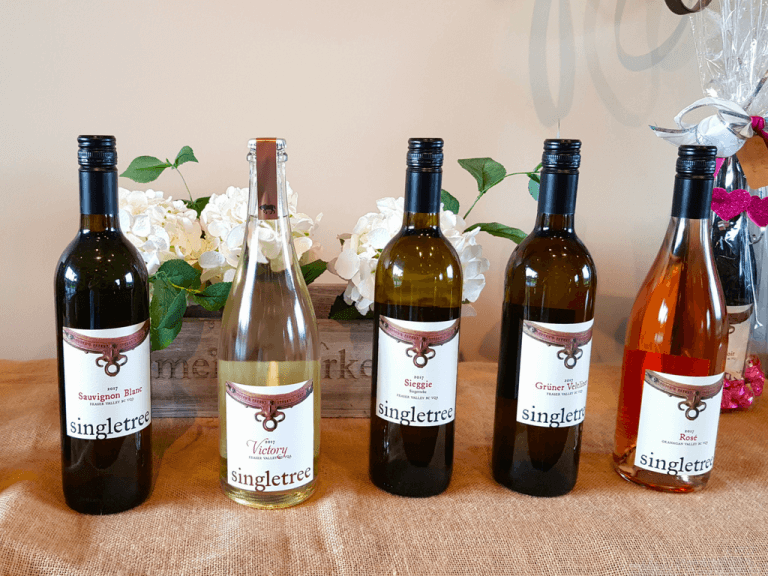 The first stop on our tour of wineries in BC was a visit to Singletree Winery. This family operated vineyard is located in Mt. Lehman in British Columbia’s Fraser Valley. 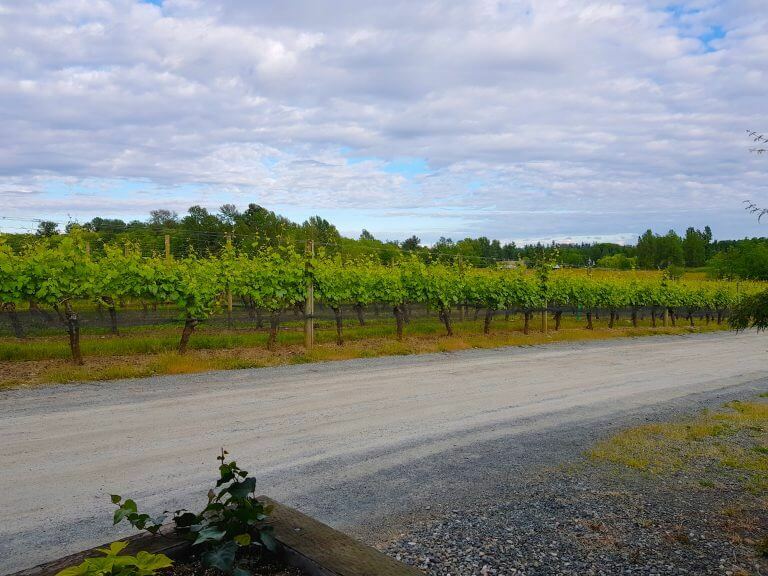 The warm summers and mild winters of the Fraser Valley make it the ideal region for growing grapes for wine. The family at Singletree are committed to showing the world what Fraser Valley is capable of. The winery is open for wine tasting between 12-5:30pm on Saturday to Thursday and 12-6pm on Fridays. You simply turn up and taste a selection of their wines. 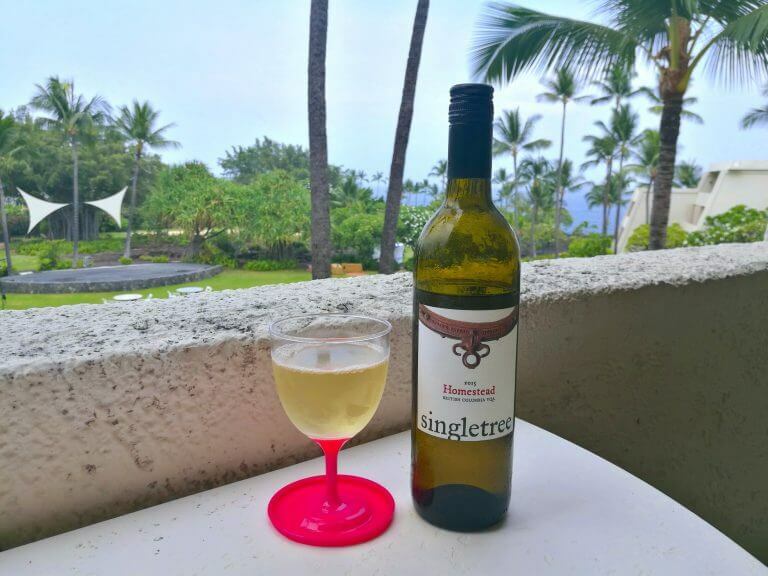 You have the choice of white wines, red wines or a mixture of both. 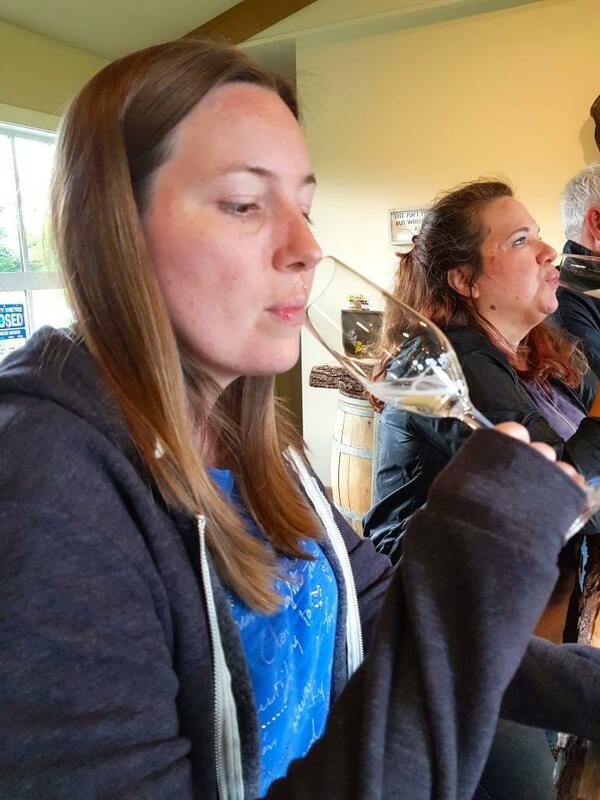 We started off tasting the refreshing sparkling wine before moving onto the Pinot Gris and Sauvignon Blanc. Out of the two I must say I preferred the pear and tropical fruit flavours of the Pinot Gris. Next we moved onto what was my favourite wine of the tasting, the complex Homestead. The mangos and pineapple really do dominate the nose. I enjoyed this one so much I ended up buying a bottle to take to Hawaii with me. I also tried one of their red wines during the tasting. I’m not really a huge red wine drinker but I wanted to try a Canadian red wine while I was here. We sampled their gold winning red wine, the Harness. The red wine is 52% Merlot and 48% Cabernet Sauvignon and has a dark fruity taste I quite enjoyed. The wine tasting does of course cost a small fee, however, this fee is waived if you purchase any of their wines. A perfect excuse to take a bottle, or 2, of their wines home with you. 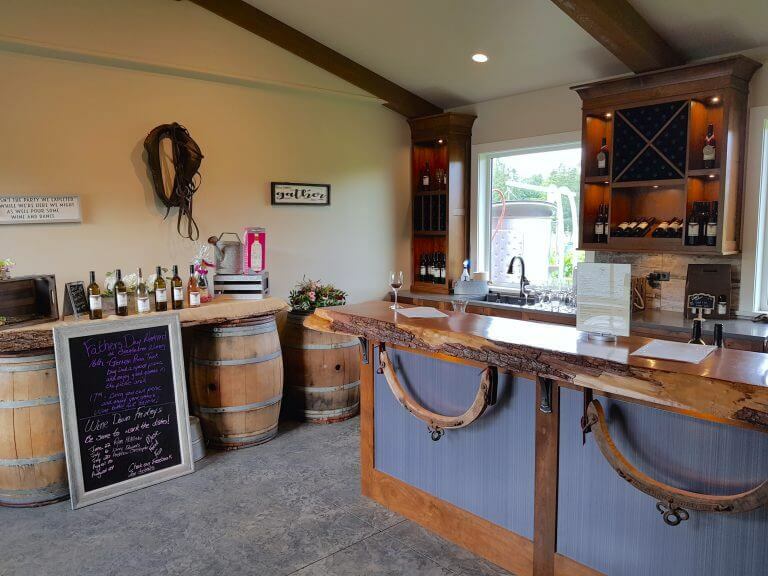 Just down the road from Singletree in the Fraser Valley is Seaside Pearl Farmgate Winery. 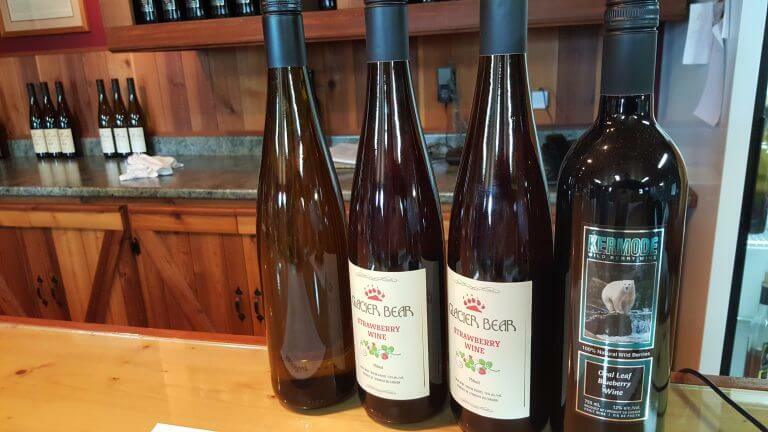 This small estate winery is owned by a family passionate about creating artisanal wines. 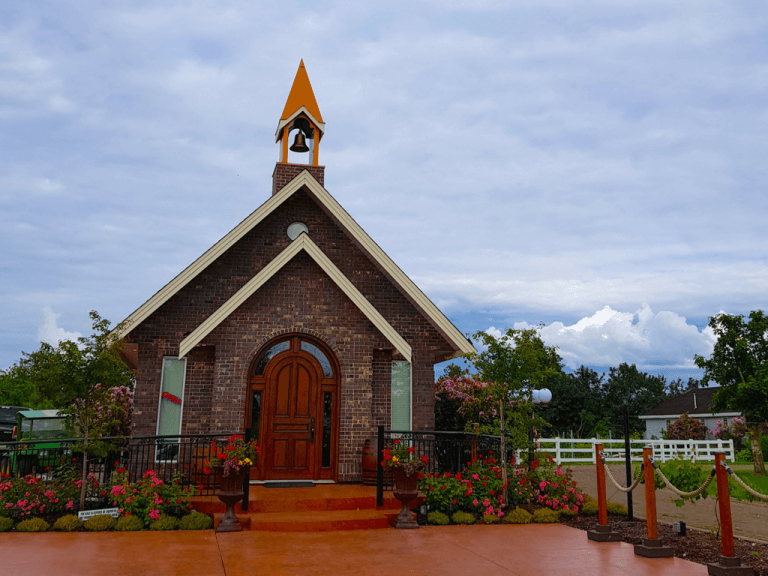 What I loved about this place was the fact their wine tasting is done in the cute copper spired chapel. The best part about it is the stunning panoramic views of the nearby mountains reflect in the chapel windows. It’s the beautiful chapel where the wine tasting takes place and is open between 12pm and 6pm Tuesdays to Sunday. Small groups are welcome to just drop in but groups of 6 or more are asked to book ahead of time. During our tasting we sampled a few whites and a few reds. For the whites we tried the clean and elegant Charlotte Estate Petit Milo, the fruit driven Chardonnay and the dry but aromatic Matsqui Prairie Gewürztraminer. Before we moved onto the red wines we tried the Daffodils Sparkling wine. This crisp sparkling wine had the nose of peach, citrus and spicy floral notes that were just a delight to drink. I enjoyed it so much I bought myself a bottle to take home to enjoy with our hosts. 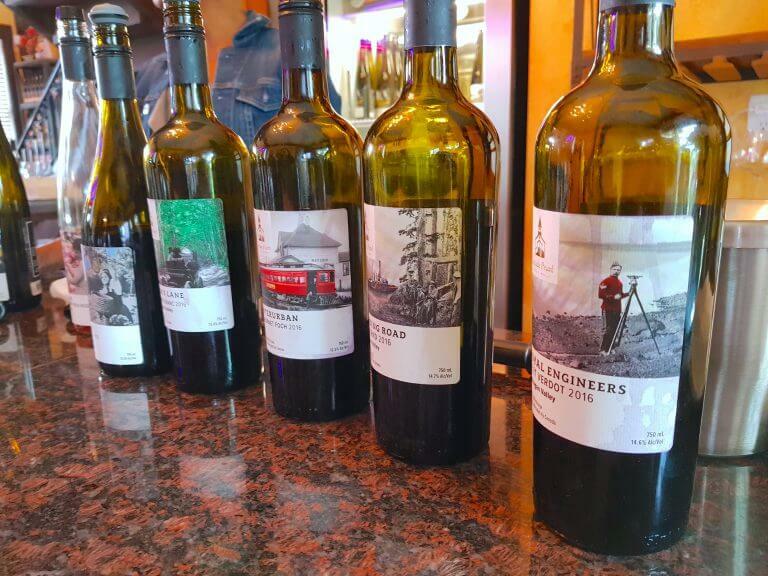 The red wines we sampled were the earthy and spicy Interurban Cabernet Foch, the blended Landing Road with it’s rich flavours of blackberry and chocolate and the bold and complex Royal Engineers Petite Verdot. For the wine tasting there is a fee of $12 which is waived upon purchase of their wine. You can also come by and enjoy a plate of cheese and a glass of wine. If I lived nearby I would be doing this frequently! 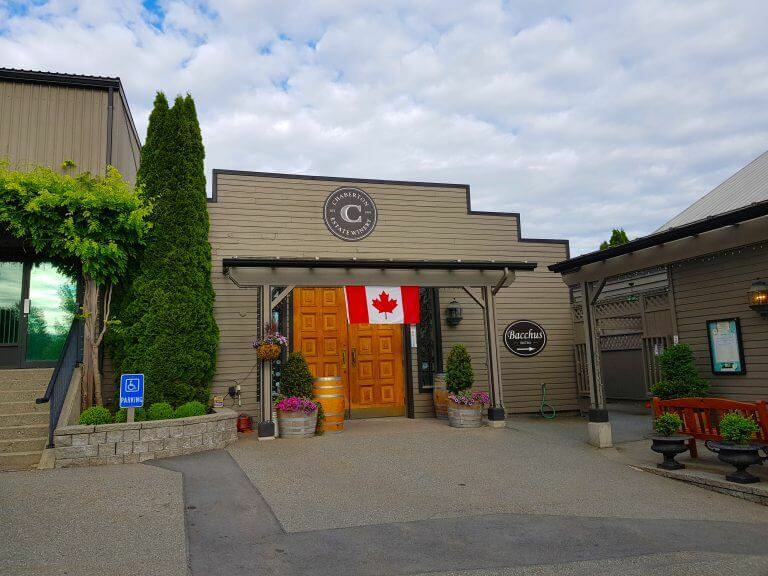 Located just 45 minutes outside of Vancouver in the rolling hills of south Langley, Chaberton is one of the largest wineries in BC and the oldest in the Fraser Valley. Their wines have won numerous awards in competitions held throughout Canada, the United States and even Europe. 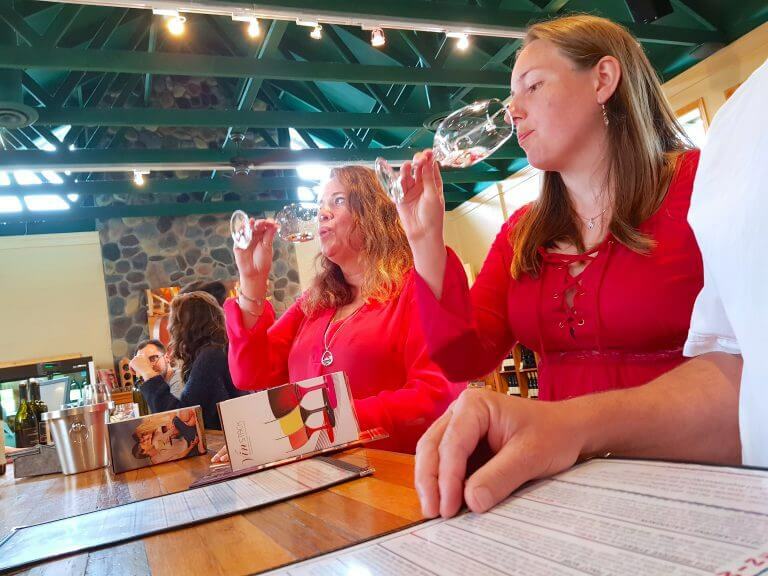 Public winery tours take place all year round (weather permitting) between 11:30am and 3pm daily. 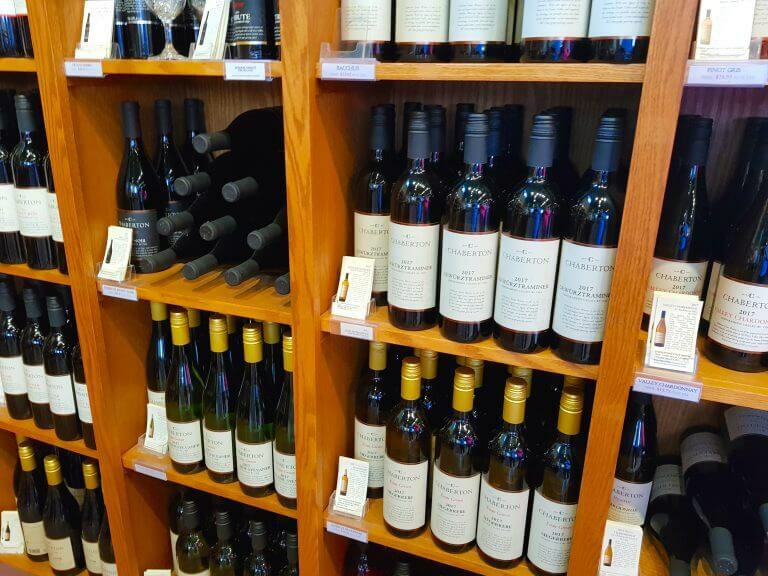 Or you can head over to the wine shop for a wine tasting. 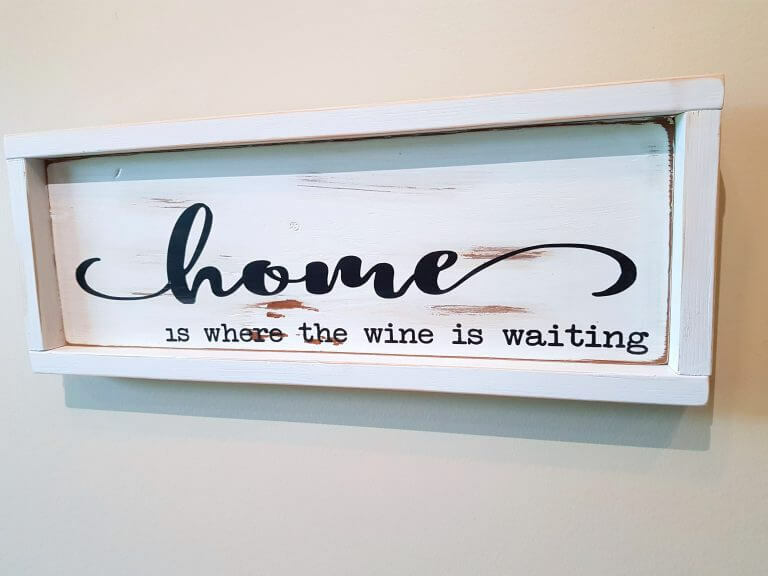 The wine tasting room is open 10am to 6pm Monday to Wednesday, 10am to 8pom on Thursday to Saturday and 11am to 6pm on Sunday. The tasting cost $5 per person but like the others this fee is waived upon purchase of a bottle of wine. Before starting the wine tasting we were asked if we preferred white wine or red wine. I selected white wines and asked what type of white wines I prefer so that they could select the best wines for me. During the tasting I tried the fruity Valley Chardonnay, the off-dry Baccus and the crips Sauvignon Blanc. After sampling a few white wines I also wanted to try the Rose which was unusual to other rose wines I have ever tried. It has sweet petal aromas and hints of strawberry and rhubarb with a citrus zest on the palate that has a candy floss confection finish. It was so delightful to drink we all ended up buying a bottle. 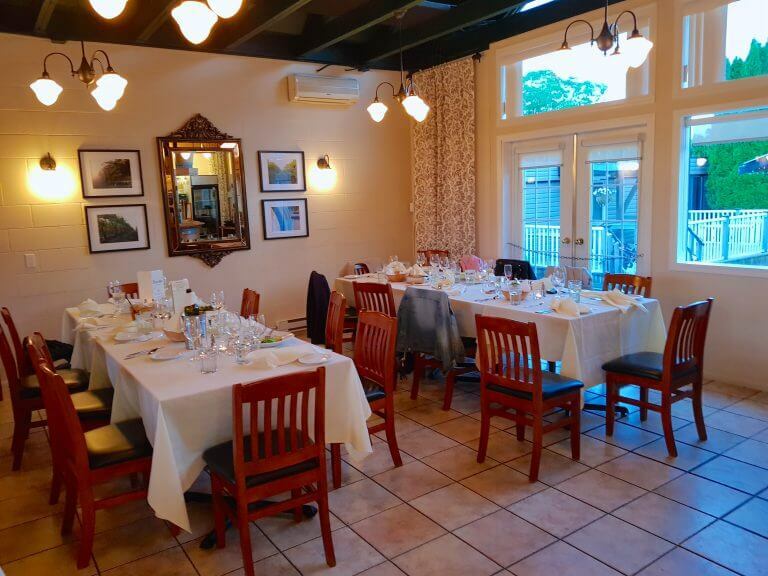 What the Chaberton Estate Winery also has is the Bacchus Bistro restaurant, a highly rated restaurant that needs to be pre-booked due to it’s popularity. 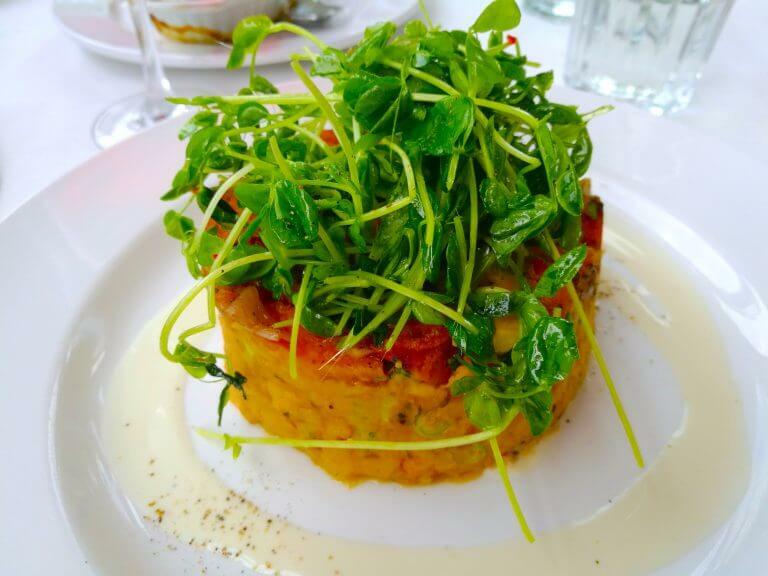 The Bistro serves authentic French cuisine made from local ingredients with a West Coast flair. As it overlooks the 55 acre vineyard it creates the perfect setting for a lovely meal out with loved ones and friends. 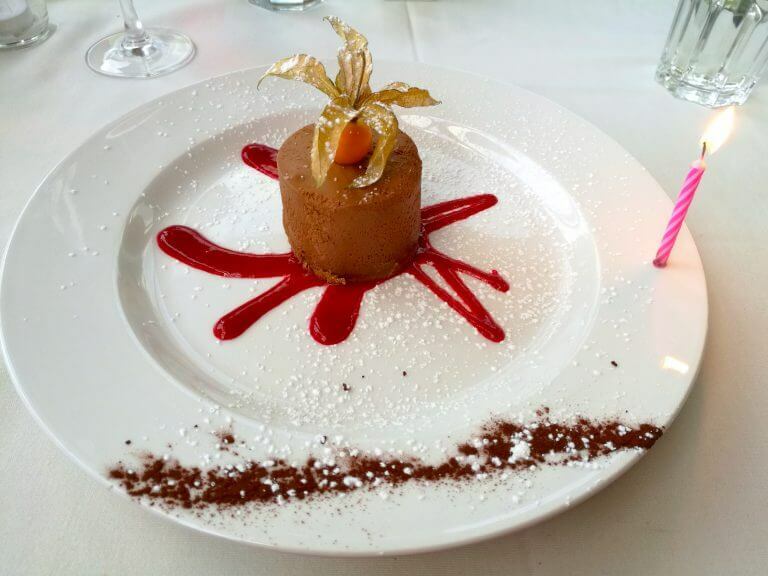 It’s the perfect place to celebrate a special occasion. I started with the Organic Mushrooms & Mt. 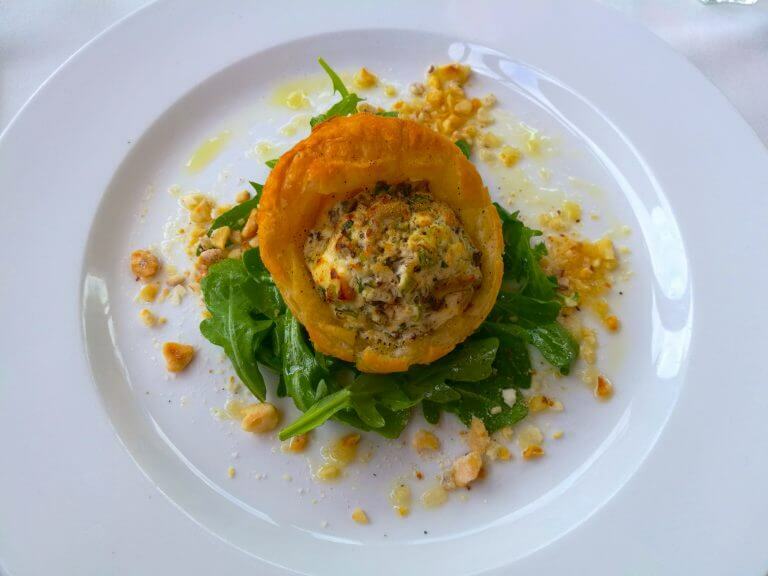 Lehman Buffala Fresca Tart served warm with hazelnut praline, arugula sala tossed in a white truffle vinaigrette. It may have been the most delicious tart I have every had in my life! After my first bite I knew I was in for a treat. For the main I went for the Za’atar Roasted Organic Banana Squash with spiced garbanzo mash, pea shoot salad, goat yogurt-tahini. After the delicious starter, this main didn’t disappoint. Sometimes I feel that chefs don’t put much effort into the vegetarian options but the chef at Bacchus Bistro clearly knows what they are doing! It’s not very often I can manage a 3 course meal but while we were eating we could see delicious looking desserts coming out and all of us agreed a dessert was a must! I had the chocolate mousse which was delightful. My friends told them this was my birthday trip so they kindly added a candle to my dessert. I definitely recommend having a meal when coming to the Chaberton Estate Winery. The Bistro is open for lunch between 11:30am and 3pm Wednesday through to Sunday. It’s then open for dinner between 5:30pm and 9pm Thursday through to Saturday. While we didn’t visit it this trip, a winery also worth mentioning is Kermode Wild Berry. They are unique from other wineries in BC as they create fruit wines. They estimate that there are at least 30 edible berries in BC and so far they have made wines with a third of those berries. 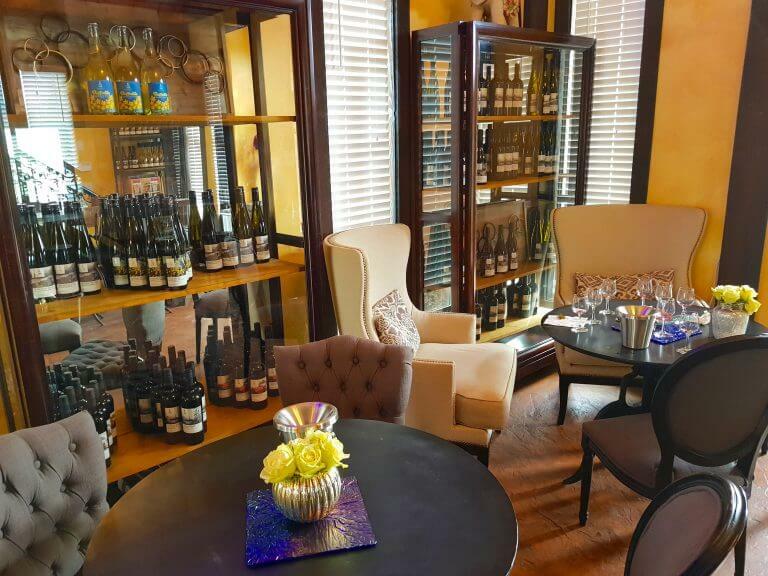 This wine tasting is a unique experience not to miss! 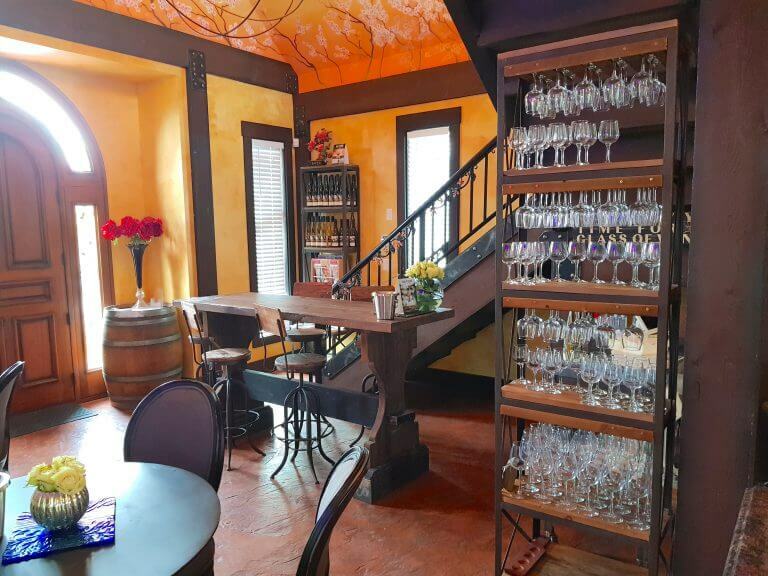 The wine tasting room is open 12-6pm daily. So there you have it. 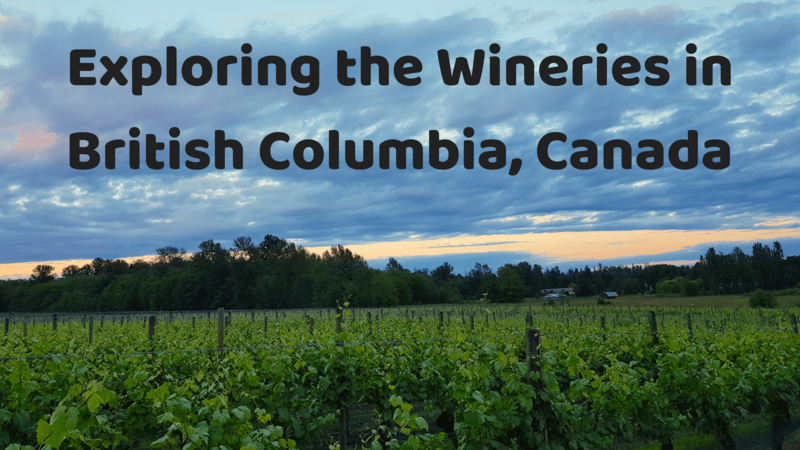 Some of the amazing wineries in BC creating delicious BC wine. Which winery would you want to visit? Comment below!